Glass manufacturer Corning have released a follow-up video to last year’s highly popular “A Day Made of Glass”, which impressed many with its slick vision of future touchscreen technology. The first video amassed over 17 million views and demonstrated the myriad applications of intelligent photovoltaic and electrochromic glass panels both in the home and at work. A Day Made of Glass 2 extends the concepts introduced in the first video and talks you through what is and isn’t possible right now. 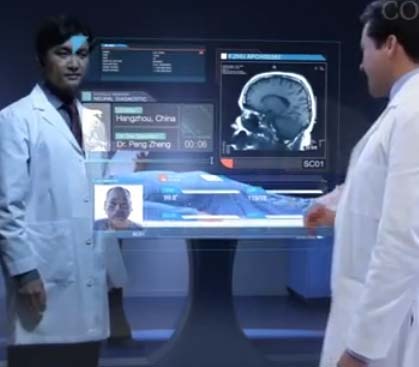 Featuring beautiful edge-to-edge touchscreens with integrated operating systems, open-source apps and unlimited bandwidth – this second video from Corning shows the potential of the technology to revolutionize areas such as e-learning, telemedicine and entertainment.